We’re located on Sadler Gate within the beautiful historic Cathedral Quarter in Derby, look for the light yellow shop front. We aim to pair traditional deli produce such as cheese, meats, breads, pies and pastries alongside an existing range of contemporary new fine food products. Specialising in our extensive range of cheese – we stock a huge variety and can always source cheeses that we don’t stock, we have access to over 800 kinds of cheeses. All of our staff are familiar with our full range of cheeses and can advise you on pairings to compliment your meal. We stock the very best olives, chutneys, jams, charcuterie and cordials condiments – stocking something for everyone. including items from the Garlic Farm, Tracklements, Cartwright and Butler and Belvior Drinks along with many more award winning brands. And as our name suggests we also stock a collection of local and international honey. Sit down and take time out in our small but comfortable seating area at the back of the shop – relax and enjoy our freshly made to order panini’s, warm ciabatta sandwiches, salads, Homemade soups, delicious cakes and treats. Wash them down with a cup of our Italian Saquella coffee or one of our AWARD WINNING NOVUS TEAS. All our food and drink are available to take away with you. With our traditional approach you can expect to find quality homemade and locally sourced produce. We are always happy to inspire and help you find exactly what you’re looking for. 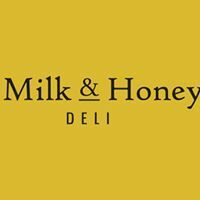 We’re open Monday – Saturday 8.30am – 5.00pm We look forward to welcoming you to our Deli soon!